The court ruling after a four-and-a-half year trial is based on flimsy evidence. The prosecution failed to establish even circumstantial evidence to show that any of those convicted caused the violence that took place, leave alone the death. The ruling also goes against the forensic evidence and post-mortem report that was placed before the court. Critically, officers of the company, who were produced before the court as prosecution witnesses denied they were present at the time of the incident. Some of them even admitted that they were acting under Maruti-Suzuki management direction. 117 of the arrested workers have been acquitted of all charges, though there was a common charge against all 148 workers. 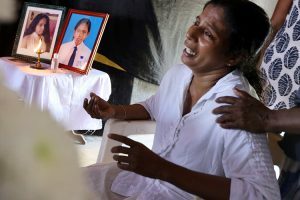 The acquittal of eighty percent of the accused workers shows that mass terrorisation of workers was one of the main motives of police action in this case, and that courts were wrong in denying them bail. These workers were forced to spend 31 months in prison for no fault of their own. Their fundamental right to life and liberty was attacked, yet no one is going to be punished for it. The Maruti verdict is the latest in a series involving violence at plants of Pricol (Coimbatore), Graziano (Surajpur) and Regency Ceramics (Yanam) in which workers working for their unions have ended up being charged with murder. While all governments show little interest in attending to violations of existing labour regulations by employers, retribution against workers has been severe and swift. It is an indication of the class nature of justice in the country, that courts have convicted workers on trumped up charges and have gone out of their way to deny them justice. In May 2013 the Punjab and Haryana High Court had denied bail to Maruti workers with the argument that if bail is given foreign investors are not likely to invest in India out of fear of labour unrest, as if citizens’ right to justice were subservient to foreign investors’ confidence. This is a clear example of the degradation of criminal justice system and its failure to stick to first principles of justice. It should be a matter of grave concern for every Indian that while the leaders of some of the most henious pogroms in independent India have not been even touched by criminal justice systemt, workers of Maruti Suzuki have been sentenced to life imprisonment on flimsy evidence. Another development is the use of private armed guards by employers for threatening workers. According to workers of Honda scooter plant in Alwar, Rajasthan, their strike last year was broken by the management with the help of armed thugs, who had assaulted them inside the plant, and also in the city in full public view. Maruti Suzuki workers have also alleged that on the day of violence large number of hired bouncers were roaming inside the plant and threatening workers. Working class movement is a great bulwark of democracy in any society. People without property were able to get voting rights and other democratic rights only after sustained campaigns by working class organizations. Working class politics tries to build solidarity among working people across regional, linguistic, religious and caste divisions. On the other hand, the right wing politics is a politics of hatred which divides people. In India Sangh parivar has been spreading hatred against minorities for decades, and indulging in violence agaisnt them. Working class struggle to get all workers together and form independent trade unions that can challenge capitalist depredations is a direct challenge to Hindutva game plan. Maruti Suzuki workers have braved through sinister schemes of management, government, and police, and are standing firm in their commitment. All the workers sentenced to life imprisonment by the court were below thirty when arrested by the police. Their commitment for working people’s rights needs to be contrasted with the violence of activists of Sangh parivar against minorities, Dalits, and students and teachers of universities with full support of Modi government. It should be cleat to every one that the future of these workers is the future of democracy in India. And now that these young men have been sentenced to life, it is the democracy in India that stands on trial. P.A.D.S. condemns the collusion of management, police and prosecution in the Maruti Suzuki case. It condemns the arrest of people who had gathered in front of Haryana Bhavan in Delhi on 16th March to express their outrage against the court verdict. It also condemns Haryana government for for imposing Section 144 in the Gurgaon Manesar industrial belt and trying to prenvent workers from protesting against this mockery of justice. It calls upon the higher judiciary to urgently give justice to wrongfully convicted workers. We salute the valiant struggle of Maruti Suzuki Workers’ Union. We appeal to all democratic central TUs to come forward unitedly to urgently resist this blatantly pro-management decicion which attacks the legitimate rights of the working people under the guise of cirminal convictions. We salute the workers of the Gurgaon-Manesar belt who in their thousands have been taking solidarity actions agaisnt the court verdict, and have vowed to intensify their struggle in coming days.